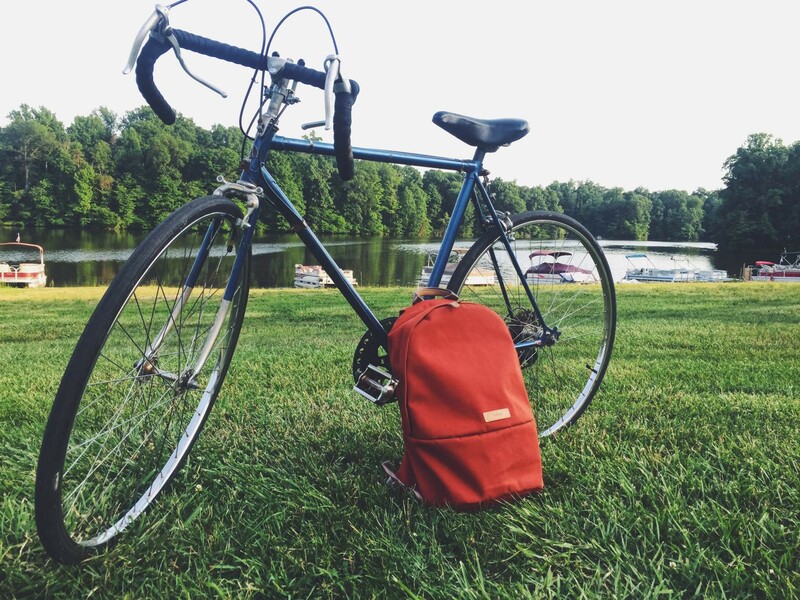 A dependable everyday companion for urban adventurers. 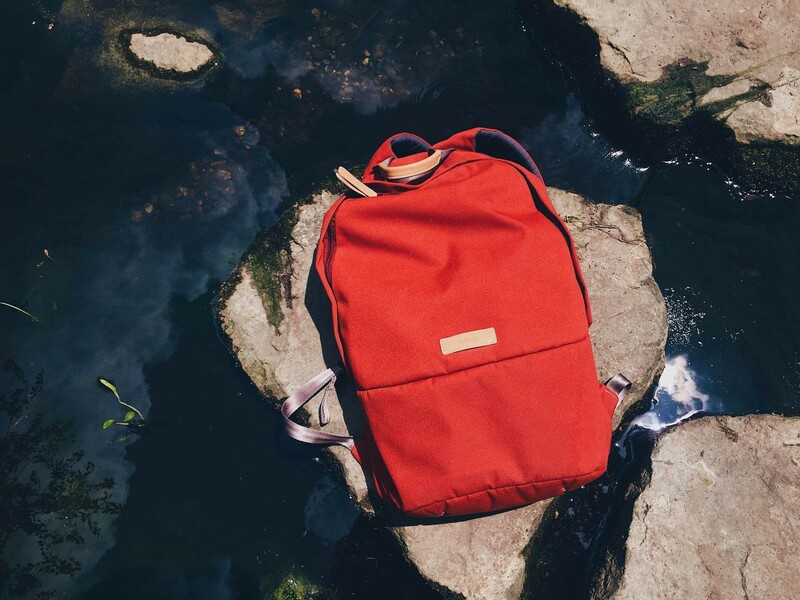 Back in April earlier this year, I was contacted by Bellroy to see if I’d like to review on a new range of backpacks they’d just dropped, featuring their most popular styles in popping new colorways. After taking a look at the lineup, I couldn’t say “Yes!” fast enough. 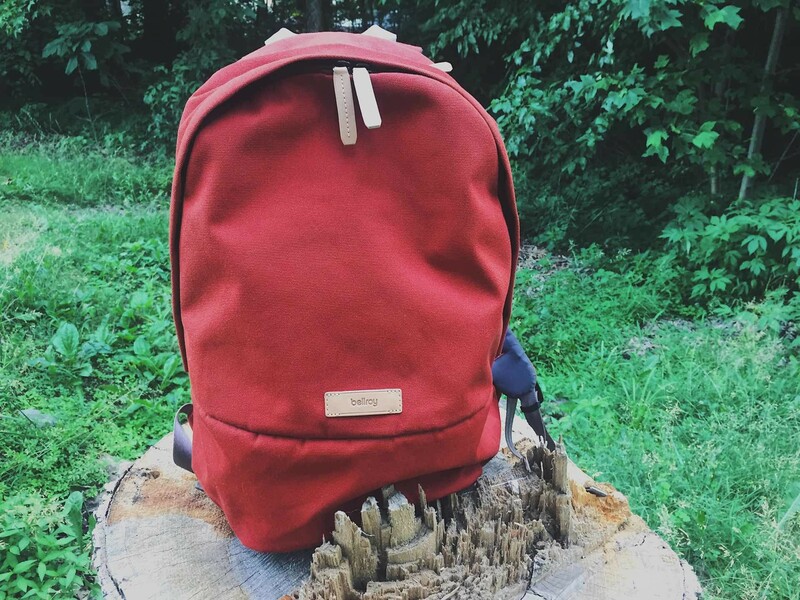 They sent me a review unit of their Classic Backpack in red ochre, and I’ve been using it ever since. As such, I’ve had plenty of time to figure out what I like and don’t like about the backpack. It’s been put through its paces for sure these past four months, so I’m ready to finally share my thoughts on it. One of the things I like most about the Classic Backpack is the amount of interior space I have to work with, which feels like a surprising amount to me for how slim the bag is. Not once have I thought, “If only I had more space in here!” Granted, my needs are somewhat minimal most of the time. I don’t always have to pack the thing out. But when I do need to carry more than usual, it hasn’t let me down yet. My iPad Air 2 + Belkin QODE Ultimate Pro keyboard case. My wife’s 5th-gen iPad (2017 model) + Logitech Slim Folio keyboard case. Our son’s Kid’s Edition Kindle Fire 7, blue case and all. Anker 5-port USB charger + attached cables. Cocoon Grid-It organizer with various things strapped onto it. Our little old Verizon hotspot. Sounds like a lot of stuff at first, but this backpack still has room that we often make use of when we take day trips to museums and such. For instance, we have a square lunch bag that’s about 9″x9″x 3.5″ when empty (I just measured it because I’m a dork) that we stuff full of snacks and lunch foods, which fits into the backpack with everything listed above plus a couple Contigo autoseal travel mugs. That’s where it finally becomes a pretty tight fit, so sometimes we’ll take out our son’s tablet and maybe the 5-port charger for the day — not because we need the room necessarily, but more for ease of carrying around. We don’t need that stuff in a museum or on a national park hike anyway. 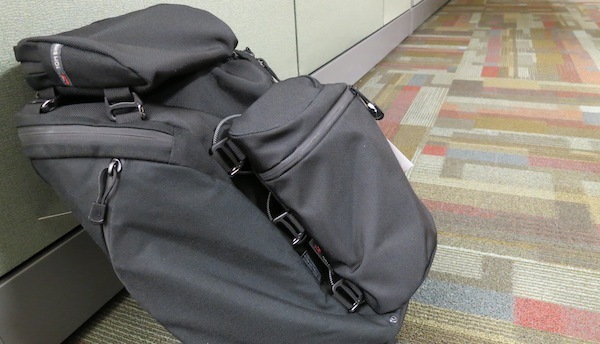 This isn’t one of those backpacks with a million compartments, or even front or side pockets. Almost all of the storage happens in the main body. 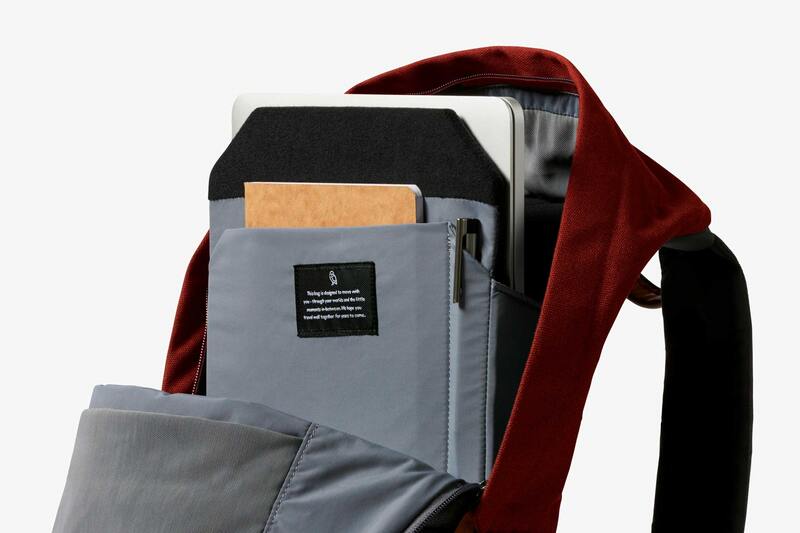 My wife and I both love the big padded sleeve in there, which is ostensibly intended for a 15″ MacBook, but we’re able to throw both of our 9.7″ iPads in it perfectly comfortably. There’s even a little more room for documents and such next to the iPads, or we can set a book sideways above the iPads, since it’s such a tall space. In front of the padded sleeve is a fabric pocket where we tend to keep important papers, sometimes alongside a kid’s thin chapter book if our son is currently reading one. Writing utensils often find their way into this pocket too, although there is a little pen slip pocket right next to it that we don’t use as often as we should. Near the top, just inside the bag’s “flap” is an easily accessible zipper pocket where we like keeping our hotspot device, spare napkins for messes (the kid is six, it happens), extra cables, and maybe the occasional small snack. 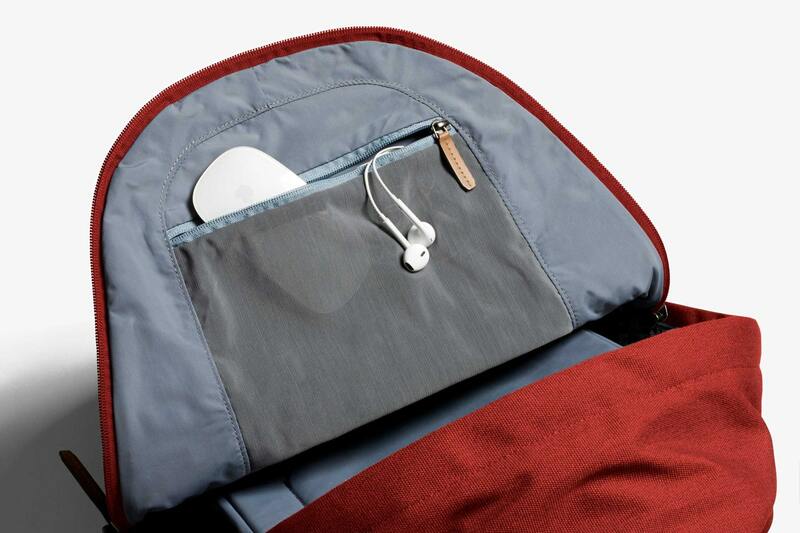 This pocket has a stretchy fine-mesh panel that lets you see the contents inside to an extent, and helps it accommodate more items than you’d think would fit in there. 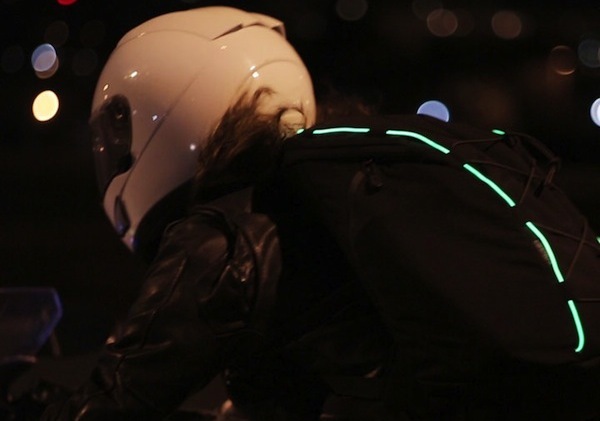 As for the backpack’s style, well…just look at it. The thing is absolutely gorgeous, especially in that eye-catching red ochre color. It just pops. Moreover, the lack of additional pockets all over the place gives the bag a streamlined appearance, and you can tell by touch alone that the materials are all of premium quality. The main body is made from a soft-woven polyester that feels to me like it’s never going to rip. I’m not sure what the carry handle and adjustment straps are made of, and the only way I can think to describe them is “velvety seatbelt”, if that makes sense. That same top handle is partially covered with a supple leather accent that makes it quite comfortable to hold onto, with similar leather straps adorning the zipper pulls. Bellroy is known for the quality of their leather wallets, so no surprise there. The main zipper does not extend all the way down the sides of the bag — only like three-quarters of the way or so? — so you can’t open it wide and lay it out flat when you’re, say, going through airport security. This isn’t too much of an issue for me most of the time, but given that it’s such a tall backpack, finding things at the very bottom can be difficult sometimes. There’s something about the way this bag feels after long periods of time that I can’t quite put my finger on. I know the shoulder straps and the back of the bag are padded to an extent, and I can adjust the straps to be as loose or tight as I want, but the bag is just not quite as comfortable as I’d like, especially when wearing it all day. The bag’s tallness doesn’t exactly help either, because it tends to rest a little weird on one’s back no matter how you adjust the straps. My wife and I will often trade places wearing it throughout museum visits and the like, just because it starts to wear on you after a while. To be fair, most of these all-day excursions involve the bag being pretty loaded down with foods and such, which might be more than what this bag is really designed for. It seems to be meant more for casual errands and urban commuting than anything else. Luckily, most of our usage is short-term as far as wearing it goes. The bag spends more time in the back seat of our truck — for instance, on the way to and from coffee shops — than it does on our backs. Some backpacks are made so they can stand on their own freely. 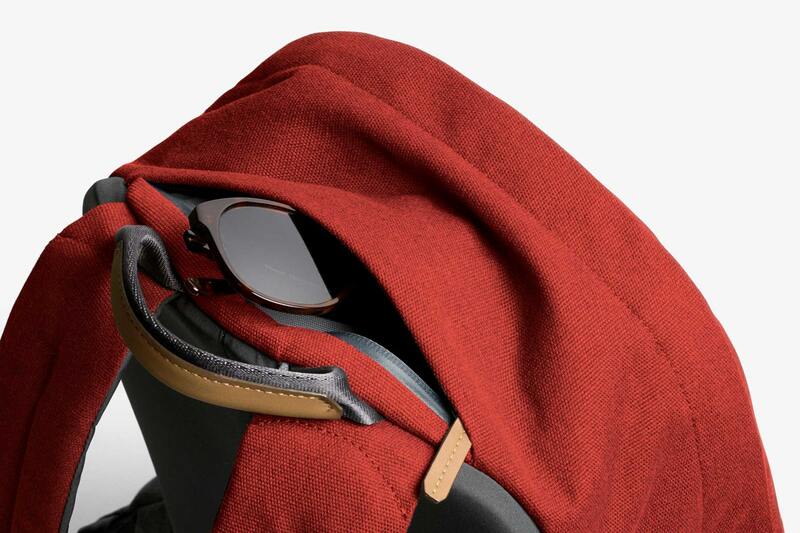 The Bellroy Classic Backpack is not one of them. You will rarely find us not leaning it against something one way or the other. It’s either that or letting it lie down flat. It just does. not. stay. up. Overall, I’m very happy with this backpack, and it suits our needs quite nicely. It’s not the greatest thing to load down and wear all day, but for shorter excursions and running errands, the Bellroy Classic Backpack ($149) gets the job done with aplomb.